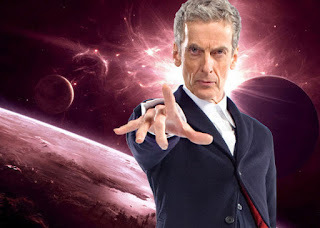 Series eight ran from August 23, 2014 to November 8, 2014 and contained twelve episodes. After three seasons of Matt Smith, we are given a brand new Doctor with Peter Capaldi. Capaldi is a man who is an avid fan of Classic Doctor Who and I'm certain this is his dream job. In fact, I remember listening to the commentary on one of the Classic Doctor Who DVDs were they were mentioning a young Capaldi coming by the set one day (which was recorded long before Capaldi was even suggested for the role.) Capaldi's Doctor to me is still the hardest to pinpoint. In many ways he's a teenager trapped in an older man's body but at the same time he's just sort of... him. He's hard to describe. Another interesting thing about the Twelfth Doctor is that other Doctors have really good episodes that are excellent from start to finish. Twelve, however, is more of a "moments" Doctor. Even in episodes that aren't really fantastic he has a moment or two here or there that are absolutely brilliant. While there are some episodes that are more favorable than others, it's hard for me to pick out episodes because he has these excellent moments in basically every single episode. This season's over-all story is about death and the afterlife as there is an ongoing mystery with people actually showing up somewhere after they have died with a mysterious woman named Missy. There is also a little bit of a personal story going on with Clara as she is dealing with balancing her life with the Doctor and her life with her boyfriend. Now Series eight is a season that I have a little bit of a problem with. It has nothing to do with Capaldi but it has to do with the direction of the series as a whole. Now don't get me wrong, I love Clara as a companion but the show is called Doctor Who... not The Clara Oswald Show. Unfortunately far too much time is spent focusing on her personal life and on her in general that it does feel like she's the main focus of the show this season and it's to the season's detriment. It's not a bad season it's just got it's priorities in the wrong place. I have no concrete evidence for this but I feel this may have been due to the fact that Capaldi isn't a young "hot" actor and they may have been afraid for the show which caused this shift. I could be very wrong with that idea but it's just a feeling I have. Random Side Note - What's up with all the robots this season?? 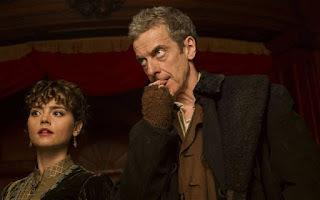 When a dinosaur suddenly appears in Victorian London, Vastra, Jenny, and Strax investigate to find the Doctor had accidentally brought it there. However, they find the Doctor to be newly regenerated, extremely volatile, and a completely different man than his previous incarnation. Only Clara may be able to help him but she is dealing with the loss of of the man she new and loved. When the dinosaur spontaneously combusts after a series of people doing the same, the Doctor takes on the case and disappears. Eventually the Doctor and Clara find an advertisement summoning them to a restaurant. Each thought the other had placed the ad...who really did? They then find all of the customers are androids who lower the pair into their spaceship. They discover that the space ship has the goal of reaching the "promised land" and that they have been slowly replacing their parts with human organs. The Doctor confronts the leader who eventually falls to its death from an airship which stops the other androids from functioning. The Doctor takes Clara to her time where she receives a call from the Eleventh Doctor before his regeneration and asking her to stay with his future self and help as he feels it may be "a whopper." She agrees. Elsewhere the android leader wakes up in a mysterious place where he is met by a woman named Missy who welcomes him to heaven. Introductory episodes for a new Doctor can be difficult depending on the personality of the Doctor in question. This was one of the more difficult ones. It's not that this episode is bad. I quite enjoy this episode. It's just that the Twelfth Doctor is either in the middle of post-regeneration madness or no even present for a good 3/4ths of the episode. Now you could argue that the same was true for David Tennant but when he showed up, he sort of showed up in a whirlwind that you could figure out his personality easily within those five minutes of screen time. Twelve is far more subtle at first and by the end of the episode you still aren't quite sure what kind of Doctor he's going to be. It was nice to see Vastra, Jenny, and Strax again and I would be lying if I didn't say that seeing Matt Smith one last time didn't tug on the heartstrings a little bit. But that's when it kind of hit me that the show may be uneasy about their Doctor not being a young hot man anymore since the Doctor is surrounded by 4 characters we know well and his predecessor has shown up to tell Clara (and the audience) to stick around. Just seemed a bit desperate and unneeded since Twelve is fantastic. So... yeah this one's a bit of a mixed bag. After saving a rebel fighter from a Dalek attack, the Doctor returns her to her space station where he is asked to attend a patient. His patient is a Dalek that had been damaged and turned good. The Doctor drags Clara away from a potential date with her new coworker Danny Pink and the pair are miniaturized along with several soldiers to enter the Dalek's machine (whom the Doctor calls Rusty) and find out what's wrong. Eventually they stumble upon a large crack which started the malfunction but upon repairing it, Rusty realizes his true nature and begins exterminating people on the space ship and signaling Dalek Command where the hidden space ship is. A soldier named Gretchen sacrifices her life to allow Clara and another soldier access to Rusty's mind and wakes up to see Missy in "Heaven." With Clara turning back on certain portions of Rusty's circuitry, The Doctor links his mind with Rusty's to show him the beauty of the universe. Unfortunately Rusty instead sees the Doctor's hatred for the Daleks and is inspired by this instead. Rusty exterminates the Daleks on board. After the battle, Rusty calls the Doctor a "good Dalek" and the Doctor and Clara leave. It must be a rule that all Science Fiction shows eventually do their own Fantastic Voyage episode. This episode had a lot of interesting ideas and nods. It was great to see the inside workings of the Dalek machinery and how Davros engineered them to forget things that may turn them "good" and how that could be reverted. 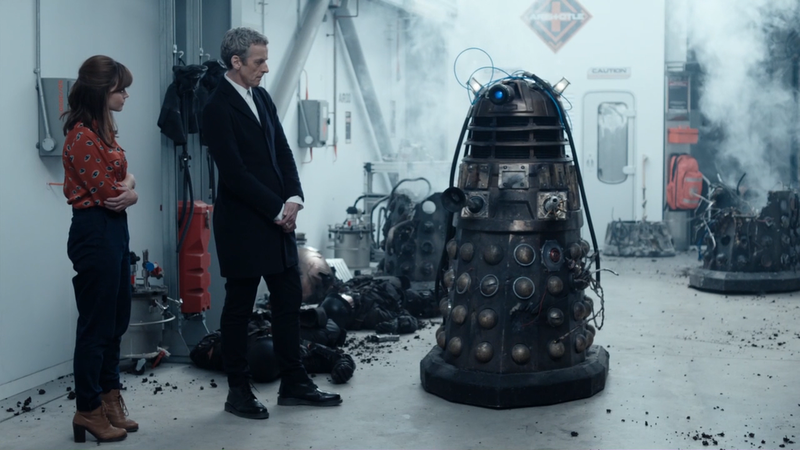 It was also nice to see the subtle nod to the 9th Doctor Episode Dalek. There he mentions a dalek will get rusty and that daleks says he would make a good dalek. Here he nicknames the dalek Rusty and is called a good Dalek. It also officially confused me about "heaven" since the android from last episode could have been just turned back on or something but this was a true human being just showing up after death. A pretty solid episode. Best Like - "Fantastic idea for a movie. Terrible idea for a proctologist." Clara has always wanted to meet Robin Hood. The Doctor decides to take her to the twelfth century to prove he doesn't exist but is confused to find a man claiming to be the legendary hero. 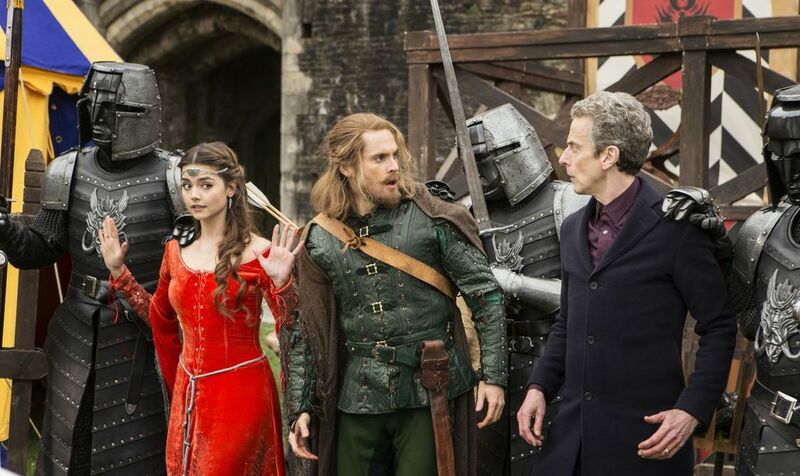 Clara is having the time of her life but the Doctor remains skeptical even as Robin introduces his Merry Men. Robin takes place in an archery contest against the Sheriff of Nottingham and splits the arrow to claim the prize. However, the Doctor blows up the target in a challenge and the Sheriff orders their arrest. Robin defends the Doctor and slices off a knight's arm only to reveal it is a robot. Robin, Clara, and the Doctor and captured and Clara is taken to the Sheriff as their leader where she learns that the Sheriff had witnessed a space ship crash land. He is helping the robotic inhabitants reach the promised land by providing them with gold to repair their systems in exchange for their help in taking over the throne in London. The Doctor and Robin escape and eventually Robin confronts the Sheriff to a sword fight killing him in the process. The Doctor then causes the space ship to explode harmlessly in the atmosphere, and reunites Robin Hood with Maid Marian whom he had found imprisoned by the Sheriff. People like to talk smack about this episode but I absolutely adore it. It was hilarious to see the Doctor being so convinced that something doesn't exist and refusing to believe the evidence of his own eyes. The scene where they meet the Merry Men and he tries to do experiments on them to see if they are real cracks me up. Let's not forget Robin and the Doctor's banter in the jail cell. I guess some people found the amount of sass in this episode a bit overwhelming but I loved every second of it and it is one of my favorite episodes. Side note - During this episode, the Doctor theorizes they may be in a mini-scope. For New Who viewers this was just some techno babble, but for Classic Who viewers we know that this is a reference to a Jon Pertwee story "Carnival of Monsters" in which the Doctor and Jo get stuck inside a machine called a mini-scope. The Doctor is looking for a creature that he believes has developed the ability to perfectly hide. He theorizes that this creature has been stalking mankind and causes the common dream of a hand reaching out from under the bed. 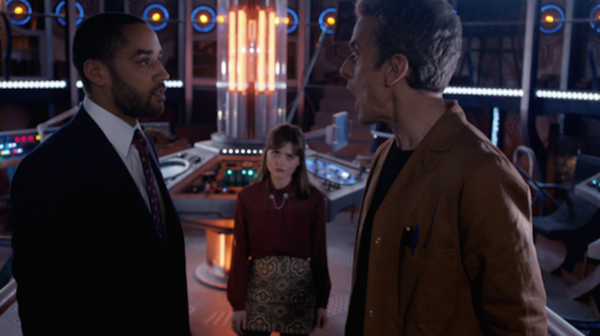 In order to help him track this down, he picks up Clara after a failed date with Danny Pink. He hooks Clara up to the TARDIS telepathic circuit and the pair end up in the 1990's where they meet Danny as a boy and he is afraid. The pair comfort him when an unknown entity finds its way in his room and eventually leaves. The Doctor returns Clara to her date with Danny but it is failing yet again so she returns to the TARDIS to meet Orson Pink, a descendant of Danny. The Doctor had picked up Orson who was one of Earth's first time travelers that ended up stranded at the end of the universe. After a brief evening at the end of the universe with the supposed entity outside, Clara triggers the TARDIS to depart to an unknown barn where she finds a crying boy. She hides under the bed to avoid detection and realizes that the child is actually the Doctor. When he gets out of bed, she instinctively grabs his leg to stop him from discovering her and realizes that she is his monster under the bed. She comforts the young Doctor and tells him that fear can be a constant companion that will bring out the best in him and that one day he will return to that barn during the moment of his greatest fear (the War Doctor and the Moment.) Clara returns to the TARDIS and forces the Doctor to take off without seeing where they are. He returns her to Danny Pink's apartment where the two reconcile. I'm torn by this episode. This has the single greatest opening segment to a Doctor Who episode to date. It excites and sends chills! Every part of this episode involving the search for the perfect hiders is fantastic. There is so much tension, atmosphere, and mystery that it's hard to top. Unfortunately it's broken up by scenes of Clara and Danny being awkward and hateful on a date. Don't get me wrong I love the character of Danny Pink and I know it would be hard to keep the tension going for the whole episode but this date is too jarring of a break in the action and honestly made this episode weaker. The searching parts of this story are brilliant and some of the best stuff the show has produced. After receiving a phone call from the TARDIS, the Doctor and Clara find themselves somewhere else entirely with their memories wiped. They are joined by Psi, an augmented human, and Sabre, a mutant human. The four have been recruited by "The Architect" to rob the bank of Karabraxos. The four collect the necessary tools but then witness a strange alien creature known as The Teller psychically turn the brain of a would-be criminal into soup. The four break into the bank's lower levels but security is on alert and the Teller is sent after them. Sabre is caught by the Teller and activates an atomic disintegrator to avoid the pain of the Teller's psychic abilities. Psi also succumbs to the same fate to allow the Doctor and Clara a chance to get into the main vault. Curious as to why they agreed to do this, the pair find the rewards for Sabre and Psi before heading to the Private Vault. On the way they meet back up with Sabre and Psi who explain that the disintegrator was actually a teleporter. The four find that the private vault is actually the home of Director Karabraxos and that a solar storm is about to occur which will destroy the establishment. The Doctor begins to figure some things out and hands Karabraxos his phone number before she leaves in a private shuttle. 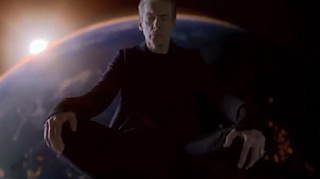 The Teller reappears and the Doctor asks it to awaken his memories; he does so. The Doctor was actually contacted by a dying Karabraxos and sent him back in time to help save the Teller and the female of his species whom Karabraxos kept imprisoned from being destroyed. They take the aliens to an uninhabited planet and head home. I don't say this often, but this story could have been made more effective by making it a two-parter. It's pretty decent as-is and it makes you question who the Architect was and what they agreed to do. However for this to be the most impregnable bank in the entire galaxy, I was expecting a little more security and traps. Also, had we gotten to really know Sabre and Psi over the course of the whole first episode their potential death scenes would have had far more impact because time would have been spent developing these characters more and we would have cared more about them. As is, it was just a little rushed and underwhelming. The mystery was cool and the end result was nice but it could have been better if it were two episodes. The Doctor is going under cover at Clara's school as a caretaker to track down a Skovox Blitzer, a dangerous robotic creature who has already vaporized a local police officer with ease. The Doctor plans to set a trap at the school to send the robot billions of years into the future where it cannot harm anyone. The Doctor meets Danny without realizing he is Clara's boyfriend, instead believing another teacher who resembles the 11th Doctor is her romantic interest. The Doctor treats Danny with increased disdain once he finds out that he is a soldier. Suspicious of this new caretaker, Danny accidentally messes with the Doctors trap causing the Skovox Blitzer to only be sent a couple days into the future. The Doctor learns of Danny and Clara's relationship as Danny is finally told of Clara's double life and who the Doctor really is. When the Skovox Blitzer returns, the three work together and trick it into deactivating itself. Danny later warns Clara about the Doctor pushing her into dangerous actions as he had seen the same type of personality in his commanding officers at times. Elsewhere, the local police officer killed by the Skovox Blitzer awakens in "The Promised Land" greeted by Seb, Missy's assistant. This episode is fairly interesting, got a few good laughs out of me (especially the Doctor Whistling the lines "we don't need no education" at Clara in the school). I don't want to talk much about the episode... it's a fine episode. I want to talk more about Danny Pink here because this is the episode where I truly saw his ultimately wasted potential. Danny is a strong likeable character with strong convictions and a past. He and the Doctor don't get along... at all. 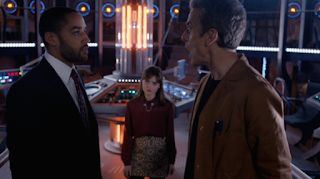 However, over the course of this episode he proves to the Doctor that he is worthy of Clara. This right here would have been the perfect time to have brought Danny on board the TARDIS and let him come along for the next several adventures. He could have done the same as Clara and go on an adventure then return to work the next day. Since he and the Doctor argue so much, the drama and comedy practically write themselves. But no, he doesn't join and gets shoved into the background as moral support or an oblivious distraction until the finale of the season. It's just frustrating to not have the show capitalize on such a fantastic character. The Doctor takes Clara and a student, Courtney, on a trip and they land on a space shuttle in 2049. The shuttle is loaded with nuclear bombs and is heading towards the Moon. 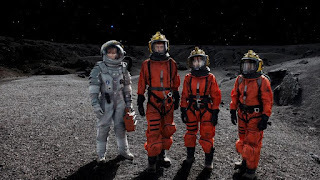 The Doctor notices the Moon currently has much higher gravity than it should and learns from space shuttle Captain Lundvik that they have been sent on a suicide mission to blow up the Moon. The Moon's increased gravity is causing sudden mass high tides threatening humanity. After investigating some readings by previous colonists and doing some digging on his own, the Doctor finds out that the Moon is actually an egg and the creature inside is getting ready to hatch. 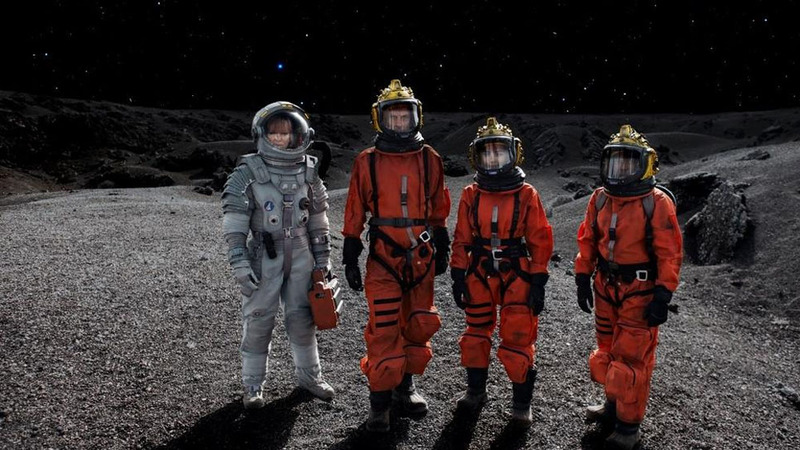 The Doctor then abandons Lundvik, Clara, and Courtney on the moon forcing them to decide whether or not to "kill the Moon." The trio ask Earth for their decision and receive a unanimous vote to save the Earth. Clara however intervenes and stops the bombs countdown. The Doctor returns to rescue them before the egg hatches and lands them on the beach where they see the creature hatch, lay an identical egg and fly off safely. Clara very angrily confronts the Doctor and tells him that Earth is important to him as well and it was just as much his decision. She storms out of the TARDIS wanting to not travel with him anymore and is comforted by Danny. As much as I hate to say this, this episode is honestly kinda dumb. There are these spider things with multiple moving parts and different looking parts that are apparently germs... if you know anything about the actual biology of a germ you'll know why this is stupid. It also has things like...the baby inside the egg shifting causing periods of weightlessness, and a standard space shuttle carrying far more nuclear bombs than it should be able to considering the weight of a nuclear bomb. This also has the Doctor just leaving Clara and Courtney in a dangerous situation on purpose for no real reason. Yeah sure he mentions some line about it being a gray area but this hasn't stopped him from interfering before, so here he's just being a douche. Also there is no dilemma here really. The life of one unborn creature verses the lives of ALL of humanity?? There is no question. You blow up the egg. It's just *sigh* this is not one of their best or smartest episodes. They should have scrapped this one and made Time Heist a two-parter. Clara has joined the Doctor for one final outing before she stops being his companion. They arrive on a recreation of the famous Orient Express in deep space. Soon, the Doctor discovers that an elderly woman has been murdered seemingly by an Egyptian Mummy that only she could see. Eventually, the Doctor investigates and finds that the creature is known as the Foretold and is invisible to all but the one it is about to kill. The train's computer program, Gus, reveals that he had summoned the Doctor there to capture the Foretold and forces him to do so by threatening the lives of everyone on board. By piecing together the evidence, the Doctor temporarily takes the consciousness of the Foretold's next victim so that he could see it. In those brief seconds he discovers that the Foretold is a dead soldier being powered by future technology. The Doctor stops the Foretold by surrendering to it. The Foretold salutes and disappears permanently. Gus thanks the Doctor but says that the survival of the train's occupants is not required and begins siphoning out the air. The Doctor uses the Foretold's tech to teleport everyone onto the TARDIS and to safety. After a long conversation, Clara decides she's not ready to give up life with the Doctor. It's almost like they knew the previous episode wasn't that great because they followed it up with something absolutely brilliant! This is the kind of inventive imagination and proper amount of weirdness that I would expect from a classic Who episode. The mystery is great, the reveal of what's going on is interesting, the "monster" is threatening. There's nothing bad I can say about this episode at all. It's one of the best Capaldi episodes. 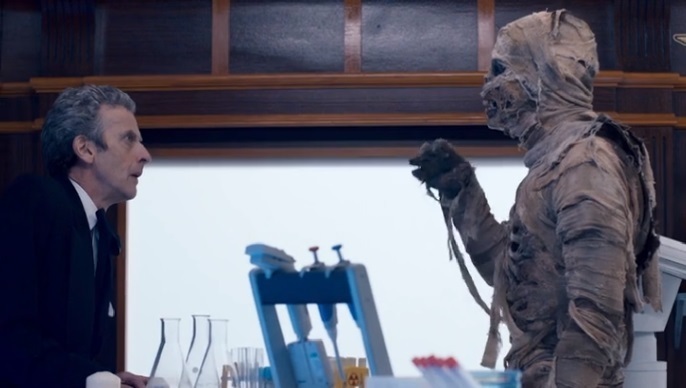 Also, when seeing the Foretold for the first time, the Doctor asks "Are you my mummy?" which is, of course, a reference to the 9th Doctor story The Empty Child. The TARDIS lands back on Earth but the Doctor and Clara find that the police box exterior has shrunk. Clara gets out to investigate the nearby area while the Doctor stays inside to scan around. 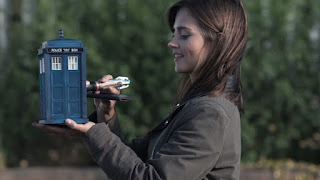 When Clara returns, the TARDIS is now handheld with the Doctor trapped inside; something is leeching its external dimensions. Clara encounters a young graffiti artist named Rigsy doing community service where they learn that people have been going missing and after they do so, their backs are suddenly painted underneath a bridge. With the Doctor and Clara communicating through an earpiece, the Doctor theorizes that they are dealing with creatures from a two-dimensional universe who have achieved the ability of turning 3D things into 2D to better understand this universe. The creatures, however are shown to be hostile and are grabbing people at will and using those people's broken-down components to as disguises; the people showing up under the bridge are actually the creatures using the bodies of the missing people in order to eventually become 3D themselves. As Clara, Rigsy, and some community service people attempt to run from the creatures, the TARDIS begins to fail as it cannot function with lack of dimensions. Clara and Rigsy eventually trick the creatures into restoring the TARDIS dimensions and the Doctor uses it's power to send the creatures back to their universe. This was a very unique episode. It was good to see the Doctor trying to reason with the new lifeforms and eventually having to give up and defeat them since they seemed to be intent on being monsters. It's just one of those concepts that, on paper, sound silly but really works and is legitimately creepy. It was funny to see the TARDIS keep shrinking and the Doctor having to do an "Addams Family" to move the TARDIS off the train tracks. Great episode overall! 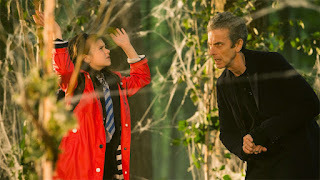 Maebh, a young girl, is running through a forest and encounters the Doctor who eventually agrees to help her after learning that a forest has grown in London overnight. At the London Museum, Clara and Danny are leading a class sleepover and discover the forest as well as Maebh's disappearance. Clara calls the Doctor who tells her to head towards Trafalgar Square. The group arrives and the Doctor realizes Maebh is missing so he and Clara set out to find her. They follow a trail she left and along the way discover that the trees have no rings and are fireproof. They find Maebh and the Doctor realizes she's involved in what is going on. Using his sonic screwdriver he gets the trees to speak through Maebh. They reveal that an extinction-level solar flare is headed towards Earth. The Doctor offers Clara a chance to take her, Danny, and the kids away but she refuses as the children would miss their families, Danny would never leave the children, and she will never leave Danny. The Doctor leaves only to realize that the trees have grown and become fireproof to act as a giant airbag to protect the Earth. The Doctor returns and enlists the kids to send a message to the world not to destroy the trees. The Solar flare passes by Earth harmlessly and the new trees disappear as quickly as they came. Well this episode... exists. I mean it has it's good moments such as the mystery of why there's a forest in Trafalgar Square, the look of horror on the Doctor's face when all the children enter the TARDIS, and Clara telling the Doctor to leave and save the next planet. Those were all great sequences, but the rest of it was just either bland, or didn't really go anywhere. It's not great but it's not terrible... it's teetering between bad and ok. While on the phone with Clara, Danny is struck by a car and is killed. Clara, stricken with grief attempts to blackmail the Doctor into saving her by throwing the TARDIS keys into a volcano one by one destroying them. It is only then that the Doctor removes her from the dream-like state he placed her in just to see how far she was willing to go. 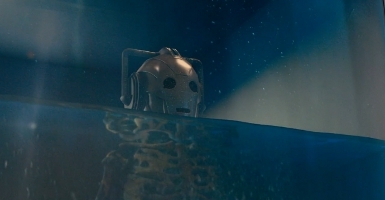 He then hooks her into the TARDIS telepathic circuit to find where Danny is currently; The TARDIS placed them in a strange facility named 3W where they find themselves surrounded by skeletons in water tanks. Elsewhere, Danny is in "The Promised Land" or "The Nethersphere" and is being consoled by Seb on his passing. The Doctor opens an information book and is met by Missy who identifies herself as an android working for Doctor Chang. Chang explains that 3W was created after scientists discovered the dead are actually still conscious and out there somewhere though they still can feel what their body feels. He also shows them "dark water" a blue liquid which can only display organic materials. Missy then begins to drain the tanks of the skeletons as Chang is able to find Danny's frequency. Clara and Danny speak and she tries to get proof of his identity so she can kill herself and join him. He refuses to allow that and Clara hangs up on him. The Doctor and Chang leave Clara to her call and discover the draining tanks are actually filled with Cybermen and the dark water within the tank was only showing their organic skeletons. The Doctor rushes out to tell everyone to flee the area but Missy tells him that it's pointless and reveals her true identity. Missy is short for Mistress; she couldn't really keep calling herself the Master could she? 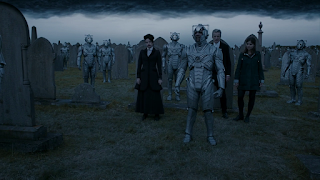 Missy's plan now activated, the Cybermen inside 3W fly into the air and detonate themselves releasing Cyber Pollen that can transform the dead into Cybermen. Their conscious minds having been uploaded into a Time Lord Hard Drive, the Nethersphere, could then return to their newly upgraded bodies having had all emotions wiped to cope with the grief of death. Danny, who wasn't around long enough to have his emotions wiped is one of these Cybermen and is able to act independently. He saves Clara from 3W and brings her to a graveyard. Elsewhere, the Doctor and Missy are forcibly brought on an airplane by UNIT where the Doctor is made the President of Earth. Osgood informs the Doctor that the Cybermen infestation is happening everywhere. Missy is right where she wants to be and with her new Cybermen are able to kill Osgood and blow up the plane. The Doctor survives by calling the TARDIS to him and he meets with Clara in the graveyard. Missy arrives as well and gifts the Doctor with control over the Cybermen so he can conquer the universe. The Doctor refuses to do this and tosses the controller to Danny who leads the Cybermen to fly into the air and destroy the Cyber Clouds and save the human race. Missy is then seemingly disintegrated by a remaining Cyberman, the reanimated Brigadier Lethbridge-Stewart who saved his daughter from the UNIT plane. Afterwards Clara and the Doctor bid farewell to each other, both having lied so the other could pursue happiness. Clara tells the Doctor that Danny found a way back though he really used his only chance to instead revive a small boy he accidentally killed while a soldier. The Doctor lies that he found Gallifrey at the coordinates Missy gave him when in fact it was empty space. 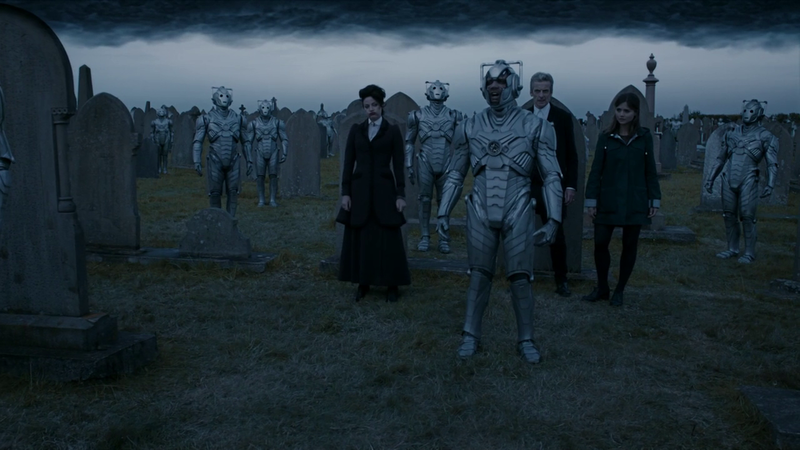 Not only was this a great end to the season, it was also a very inventive use of the Cybermen. It may have taken them a long time, but the show has eventually started making Cybermen be threatening again. Michelle Gomez does a fantastic job as Missy especially with the modern show deciding that the Master is more of a madman/mad woman than space Moriarty. She's probably my favorite incarnation of the Master. I don't really have anything truly negative to say here. Clara's tossing of the TARDIS keys was great, the reveal of Missy was just as great, and having the Brigadier show up as a Cyberman made me both happy and sad. The episodes ended on a bit of a sad and sour note as both Clara and the Doctor are lying to each other and it left me with a bad taste for this...until the Christmas special came along. All in all it's a good two-parter. Best Line - "Do you think I care for you so little that betraying me would make a difference?" Clara wakes up on Christmas Eve to find Santa Claus on her rooftop. She denies his existence but the Doctor returns and takes her away in the TARDIS to the North Pole. There, a group of scientists are trying to save their coworkers from being overtaken by strange crab-like aliens. As soon as the Doctor and Clara arrive at the base, the crabs attack them. However, the group are saved by Santa. The Doctor then realizes that the creatures are Dream Crabs who attach themselves to the face of their victim and keep them in a happy state of mind while eating their brain. Clara is attacked by a lone crab and ends up in a dream where Danny is still alive and they are living together. The Doctor joins her in the dream and is able to pull themselves out of the dream with help from the dream version of Danny. After additional investigation, the Doctor realizes that they are all inside of a dream that is inside of a dream and Santa is the last bit of their brain trying to fight back. They collectively pool their dreams to have Santa fly them home on his sleigh; one by one each member of the group awakens in the real world until only Clara is left. The Doctor goes to Clara's house and pulls the crab off only to discover it has been 62 years since they had last met. 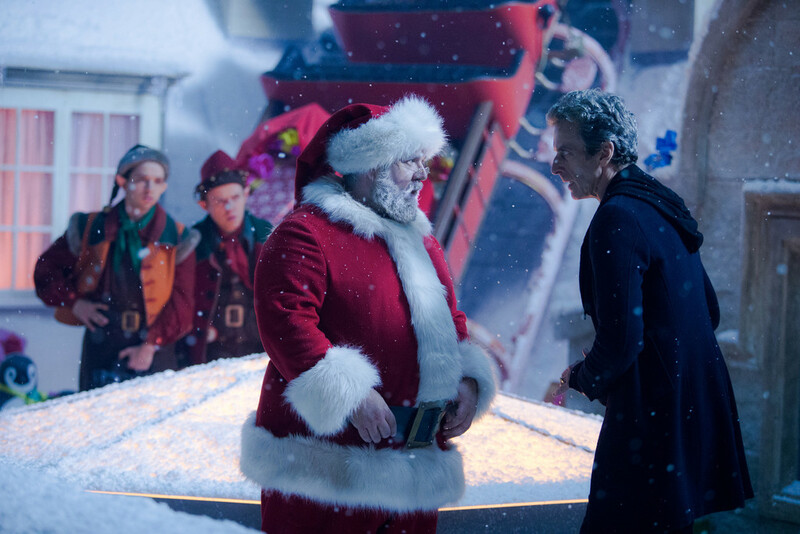 However Santa appears one last time and the Doctor realizes the pair are still dreaming. Finally back in reality, the Doctor finds Clara at her normal age and asks her to join him in the TARDIS once more. She agrees. What a Christmas Special! The sins of the preceding season were basically undone entirely by this one episode doing its best to be amazing. We got some true and heartwarming closer to Danny Pink even though it was only a dream. The show wasn't just focused on Clara's personal life like the previous season had been, and the story was genuinely interesting. Nick Frost did an amazing job playing Santa and his banter with the Doctor and the two elves made this episode absolutely hilarious. The Dream Crabs were also legitimately creepy. Basically this was wonderful and made me eagerly look forward to the next season. Best line - "There's a horror movie called Alien? That's really offensive. No wonder everyone keeps invading you." Despite the show not utilizing Danny Pink to his full potential, and some idiocy on the Moon, this season was still pretty solid. While this season didn't have as many outstanding episodes as other seasons, I still quite like the majority of what we got. 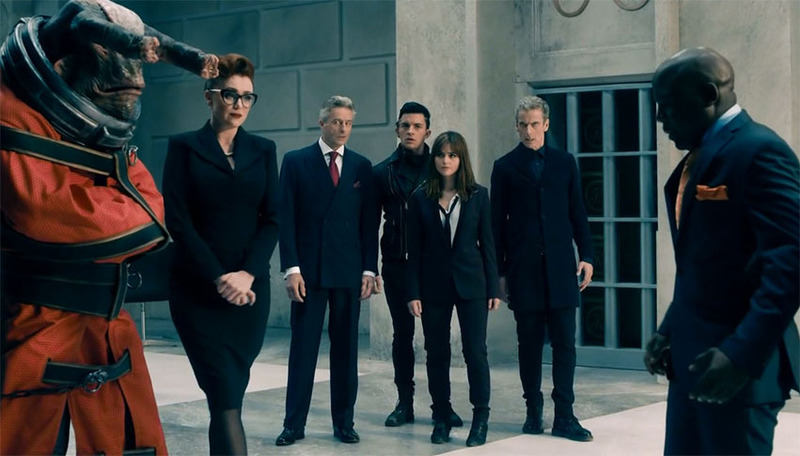 At that, Capaldi's Twelfth Doctor brings this charm and sass to the role in a way we hadn't quite seen yet. At minimum he gets a paragraph of dialogue or a one-liner here and there in every single episode that make all of them worth watching even if it's just for his one zinger. Capaldi came out better this season than she show did overall and that's perfectly fine because I love his performance. Thankfully next season we're going to have less of a focus on the companion's personal life and more of a focus on the adventures, stories, and monsters we meet along the way. Please join me again as we continue to examine all of Doctor Who.